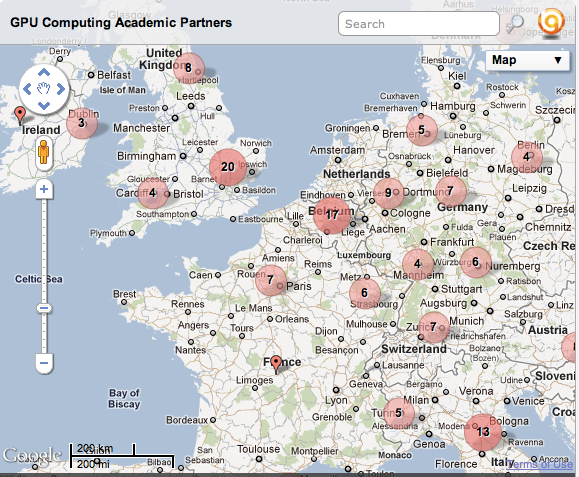 lofar-uk: LOFAR on the Map of GPU Computing. 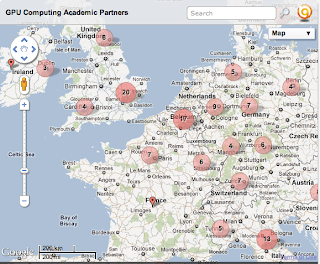 Of possible interest to those involved in LOFAR is this map of the GPU (Graphical Processing Unit) computing usage for research. The LOFAR Epoch of Reionization Key Science project makes it onto the map in Groningen where GPUs are being used for signal and image processing of the data generated by LOFAR for this experiment.